Manchester United have made a club-record £35m offer for Chelsea’s Juan Mata, the Spaniard is currently out of favour at Stamford Bridge and has found his chances limited this season under Jose Mourinho. United are in need of a playmaker that can score goals, since they have struggled to hit the back on net since the losing Wayne Rooney & Robin Van Persie due to injury. Mata 25 needs to be playing regular football, especially as its World Cup year. He wants to be in contention to be picked for Spain’s squad when the fly out to Brazil this summer and for that to happen he needs to be playing. Mata was part of the squad that won the World Cup in 2010 and European Championship in 2012. United have denied making an official offer, but an initial bid has been tabled through intermediaries acting on behalf of the Premier League champions. 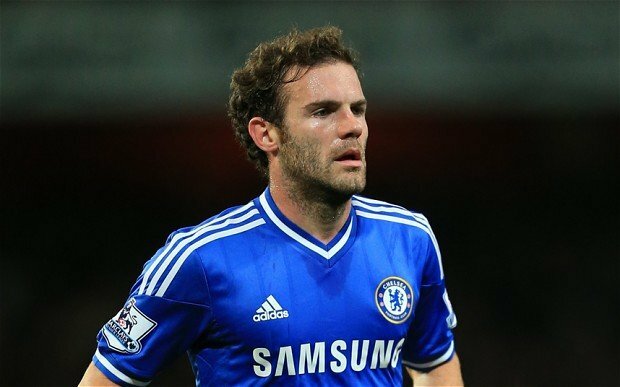 Mata missed training on Tuesday and it is thought that talks have progressed since, should the transfer be completed. It will top United’s current record buy which was the £30.75m fee for Dimitar Berbatov in 2008 from Tottenham Hotspur. Chelsea boss Mourinho, 50, said last week that while he understood it was “hard” for Mata to sit on the bench, the Spaniard still had a “big role” to play at the club. With Mourinho preferring Eden Hazard, Oscar and summer signing Willian as attacking roles, it would seem that Mata would be used as bit-part player. A transfer to United would be the best move for Juan Mata, the midfielder has been substituted in nine of his 13 Premier League appearances for the Blues this season.